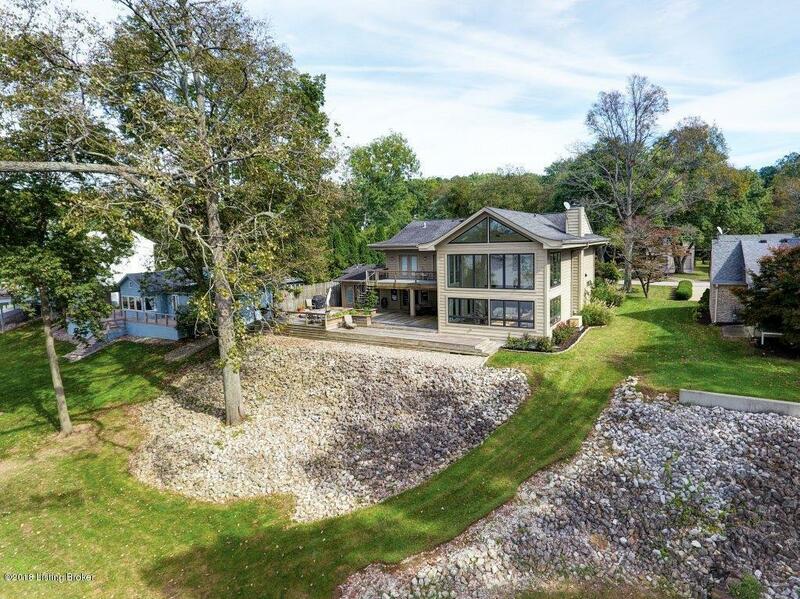 Rare opportunity to own this gorgeous, open, light-filled and updated home on the river! 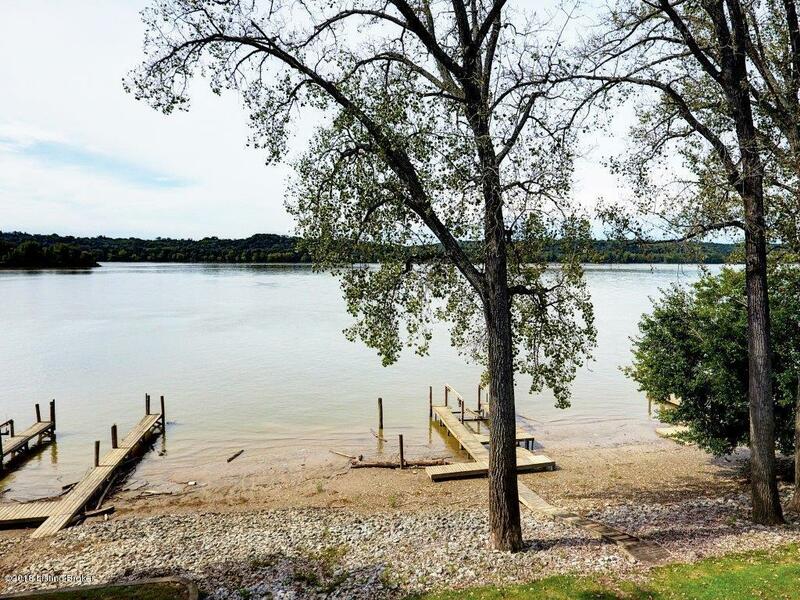 Located adjacent to the north end of 12 Mile Island with 95 feet of river frontage, your view will be the lazy river with endless trees on the other side. Sitting on the high point of Belknap Beach, flooding will NOT be a problem! The great room with floor to ceiling windows overlooking the water is breathtaking, and comfortable year round with heated floors! One bedroom with a shared bath is on the first floor, while 3 additional bedrooms are on the second floor. Superb master suite with walk-in closet, luxurious bath with heated floors, and a private Trex deck overlooking the river. An additional full bath is shared by the other two bedrooms.A laundry is also conveniently located on the second floor. 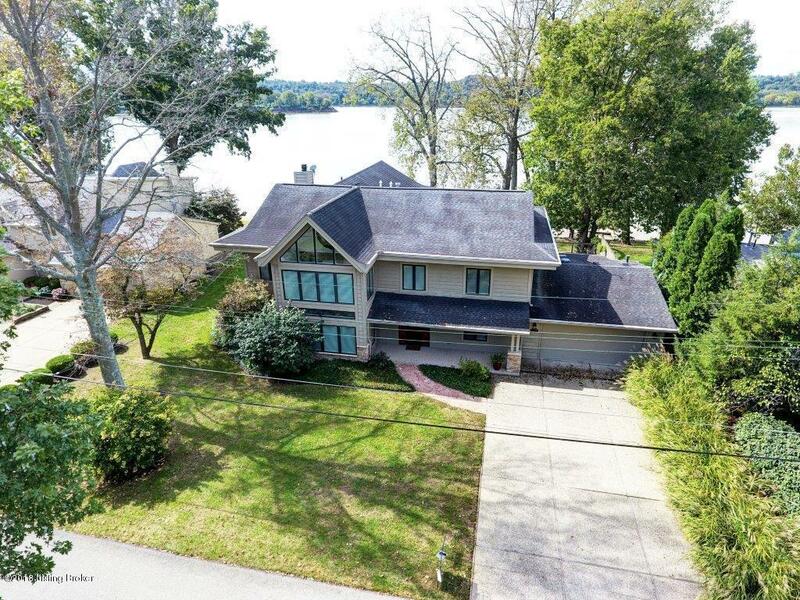 The home has a natural gas generator and tankless water heater, spray foam insulation, zoned HVAC, irrigation system, dock with 2 boat slips and grass road access, and multilevel rear deck. Note: Property across the street at 2417 may also be available for purchase for $350,000. It features 2 structures: a 3BR/2BA guest house (currently rented for $2000/month until 6/30/2019) with 2 car garage. Additionally, there is a 2 car garage with a loft. Beautiful wooded views! Need lots of notice to show as dwellings are occupied. River has NEVER flooded home, nor has access ever been compromised by high water between Rose Island Road and Belknap Beach Road. The hot tub is in good working order and has been serviced annually by Cherry Valley Spa. Dock lifts are motorized with motors currently stored in garage. If boats are put in at Cox Park on River Road or Captains Quarters, they can be brought directly to the 2416 dock.